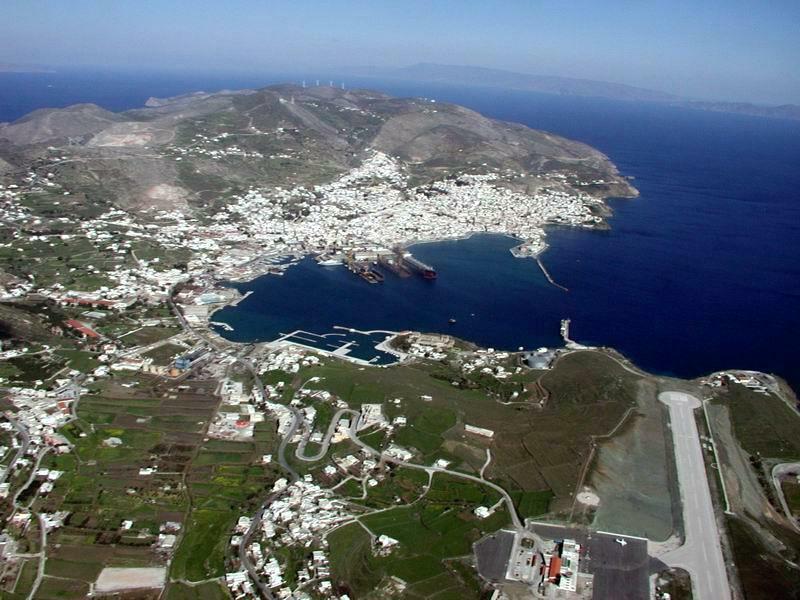 The two major yacht charter bases in the Cyclades are Syros port and Paros port. Paros is the southernmost base in the Cyclades and serves as the ideal starting point to explore the islands of Santorini, Milos, Folegandros, Astypalea, Sifnos and Naxos. The charter base of Syros is slightly higher up and is ideal to visit the northern part, notably Tinos, Andros, Mykonos, Kea and Kythnos, but in a 14 day itinerary you could easily reach Santorini as well. And although the northern isles could also be visited from Athens the biggest advantage is that you don't need to sail past the concrete outskirts of Athens, especially useful for bareboat yacht charters or crewed sailing yachts, which have a maximum speed of 6-9 knots. Oneways from Athens or Lavrion port towards Syros are ideal for bareboat yacht charters as well. Please note that the other direction would mean sailing against the prevailing northerlies. But also consider a oneway from Syros towards Kos or Rhodes, respectively a 7 day or 14 day sailing vacation combining both the Cyclades as well as the Dodecanese. Syros and Paros can easily be reached via frequent ferries or hydrofoils from Piraeus - Athens, but to get back from Kos or Rhodes a domestic flight to Athens is advised. On most bareboat yacht charters you will return the yacht to the same charter base. The popular yachts for bareboat yacht charters out of Syros are the typical mediterranean sailing monohulls: Jeanneau, Bavaria, Beneteau, Ocean Star. The multihulls are not readily available however. Trimarans are extremely rare and catamarans should best be booked a year in advance. Consensus is that the age of the yacht should not exceed 4 years, preferably more recent. And only rent older yachts - < 4 years old - with reliable yacht charter companies who are specialized in bareboat yacht charters. Some trustworthy charter firms do indeed offer much older yachts but these are often totally refurbished and in pristine condition.
.: Back to Syros island:.